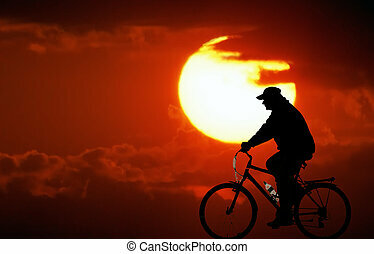 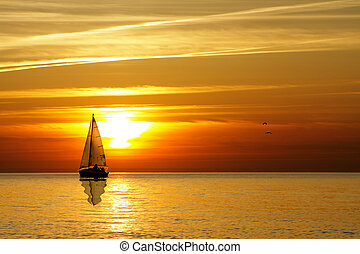 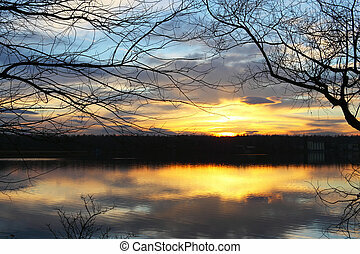 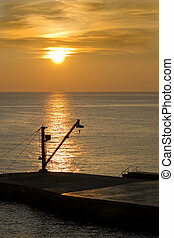 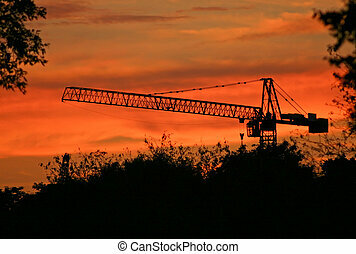 Industrial sunset with a silhouette of a construction crane framed by trees. 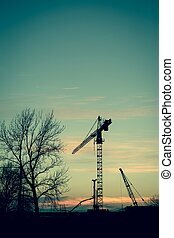 Crane at sunset in Lapland, Finland, on Arctic Circle in winter. 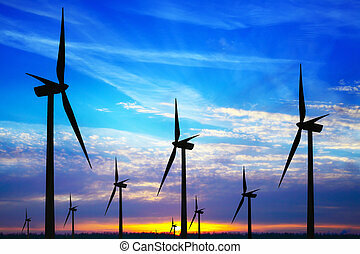 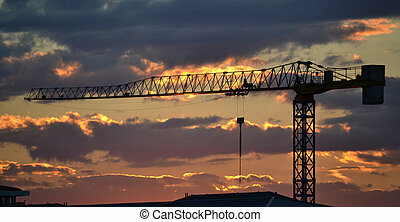 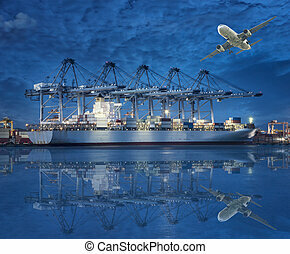 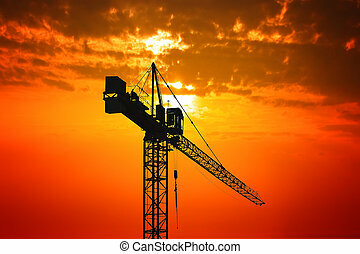 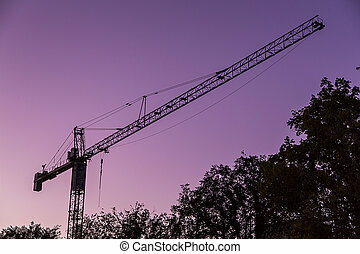 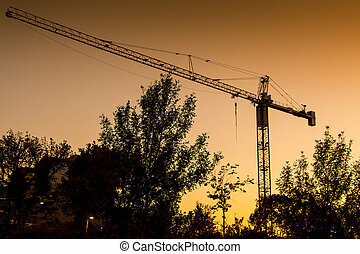 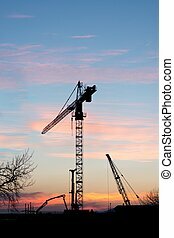 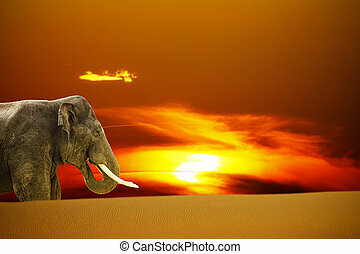 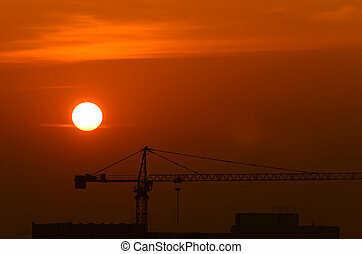 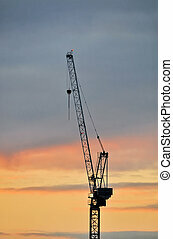 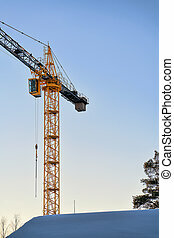 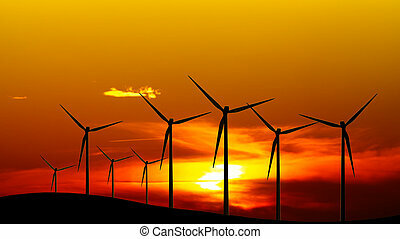 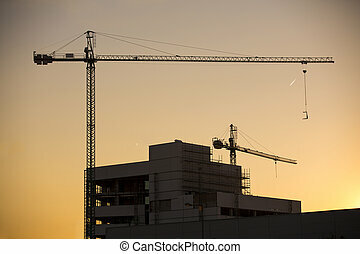 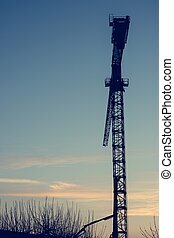 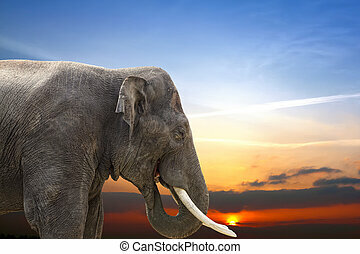 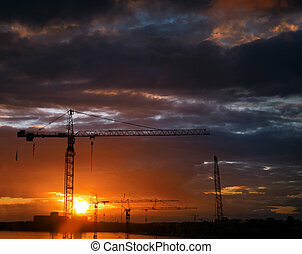 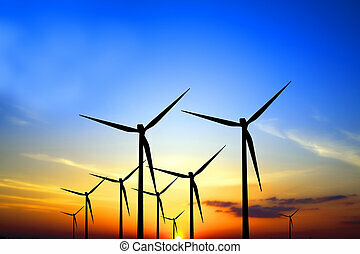 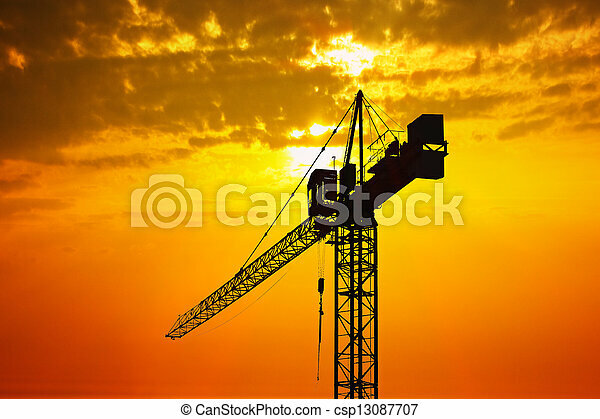 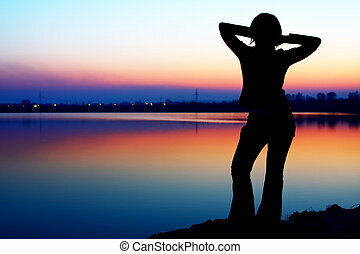 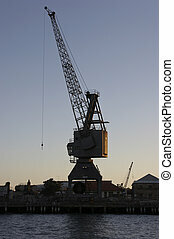 Industrial construction site at sunset with silhouette of a crane.